Bridge360 engages and delivers quality software products for their clients all over the globe. Founded in 2001 and headquartered in Austin, Texas, Bridge360 has offices on three continents; North America, Europe and Asia. Acclaim for the company has included listings on Inc. 5000, Software 500 and Austin Business Journal’s Fast Fifty, Top Women-Owned Businesses and Largest Software Firms. Bridge360 was also the 2013 recipient of the International Service Award presented by GlobalAustin and the Austin Chamber of Commerce. 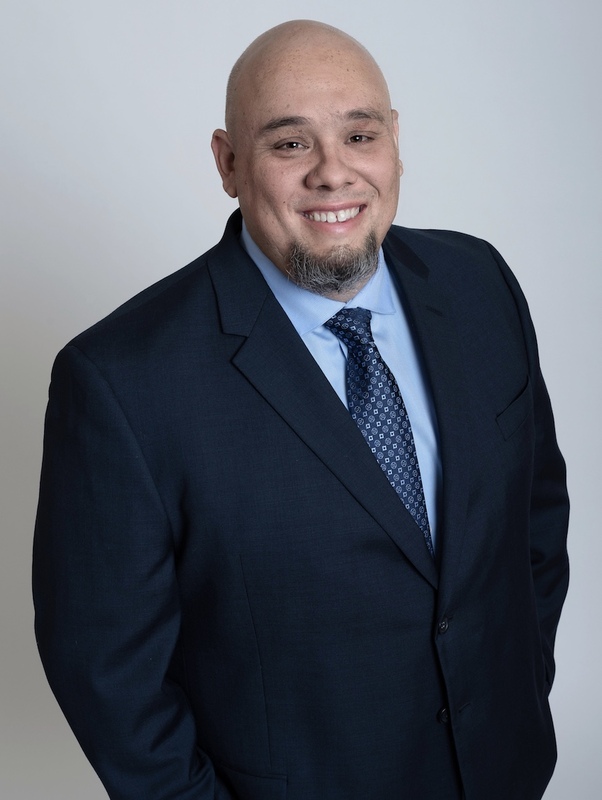 AUSTIN – Bridge360 announced today that Mr. Gilson Fagundes has joined the firm as CTO. Emerging from his 16-year career at Dell, Gilson brings deep expertise across multiple platforms and technologies to this mission-critical position. “His global experience and tremendous knowledge are an excellent fit for our culture. Gilson brings cutting-edge knowledge along with his extensive legacy systems experience to our company which will benefit our clients and team” says CEO Brenda Hall. As CTO, Gilson assumes responsibility for the client experience and the growth and development of team members. His role includes examining technology trends and innovations to identify and implement improvements across the Bridge360 landscape. “I’m excited to partner with Gilson to find new ways to grow our company. Our clients will find him to be a hands-on leader who is passionate about QUALITY and driven to deliver measurable results” says Hall. “We waited for the right talent to fill this critical position and I’m thrilled to introduce Gilson to our team.” “Bridge360 is an outstanding company with a rich history of solving our client’s most challenging problems. The team is highly respected for their technology expertise and deeply valued for their commitment to providing long-lasting client value” says Gilson. “I’m excited to begin this next step in my career and proud to join the Bridge360 team”. An award-winning IT Architect with a natural problem-solving mindset, Gilson began his career in his native Brazil as one of the first employees to work for Dell’s Brazil Software Development Center. His twenty plus years of experience spans the globe and the broad range of IT tools, processes, and languages. His program and project management skills have helped small to enterprise-wide initiatives succeed. A graduate of PUCRS (Pontificia Universidade Catolica, Rio Grande do Sul), he holds a Bachelor of Science degree in Information Technology. AUSTIN – Bridge360 continues to rank among the largest software firms in Austin, appearing once again in the top twenty-five for 2018. Brenda Hall CEO said "Our custom software and rigorous quality engineering service continues to deliver outstanding performance to our clients from family-owned enterprises to global brand dominators. Our expert developers and test engineers customize solutions that benefit our client’s bottom-line and this has stood the test of time, economics and technical product evolution." One of the select few ranked companies focused on contract custom development, Bridge360 is also the only firm also ranked by the Austin Business Journal as a leading Women-Owned business. From her early days at IBM, Ms. Hall recounts the importance of Quality Engineering as the platform for delivering true client value. "Our clients resist the quick fix of an okay code and strive for lasting value from their IT solution. This has been especially true recently with companies acquiring new brands and working to blend conflicting supply chain processes into one reliable process that meets the demands of their customer promise." Bridge360 has been adding new talent to the team to support their growing business. "We've grown our team by more than 30% over the past few years" says Hall. "To succeed at Bridge360 you need to be devoted to our client, an expert in your field, and enthusiastic to be part of a small and mighty team. We win together because we truly work together." More information may be found at www.bridge360.com. Bridge360 engages and delivers across the entire software development life cycle including program management, architecture, design and development, and testing. Founded in 2001 and headquartered in Austin, Texas, Bridge360 has offices on three continents, North America, Europe and Asia. Acclaim for the company has included listings on Inc. 5000, Software 500 and Austin Business Journal’s Fast Fifty, Top Women-Owned Businesses and Largest Software Firms. Bridge360 was also the 2013 recipient of the International Service Award presented by GlobalAustin and the Austin Chamber of Commerce. AUSTIN – Appearing once again on the Top 50 list, Brenda Hall CEO attributed the company’s continued success to a dedicated group of engineering professionals and a loyal client base. “We continue to see high demand for software engineers on projects across all disciplines and among all verticles”. Bridge360’s growth comes from companies of all sizes, small business owner led to global enterprises, and from their core services ranging from consulting to software customization to complex testing and global readiness. “We recognized early on that our company would grow if we embraced the culture of our clients and adopted their challenges as our own” says Ms. Hall. In their sixteen-year history, Bridge360 has done everything from enabling client’s software to work anywhere in the world to crafting Testing Centers of Excellence. “We are being asked to build these centers of excellence more often now which is a requirement we saw coming years ago. Leaders need real-time data to make strategic investment decisions which is exactly what a TCoE delivers. And there is nothing more frustrating than watching your intellectual capital walk out the door with staff turnover. TCoEs work to preserve mission-critical history and enable company leaders to make informed decisions by putting the data to work in a usable and effective way.” Ms. Hall sees this trend continuing and the emergence of AI in the QA testing field as two of the major areas for future growth. Bridge360 is 100% women-owned and headquartered in Austin, TX with offices on three continents including Asia and Europe. Acclaim for the company has included 2013-2014 listings on Inc. 5000, Software 500 and Austin Business Journal Top Women-Owned Businesses. Bridge360 was also the 2013 recipient of the International Service Award presented by GlobalAustin and the Austin Chamber of Commerce. AUSTIN, TX (May 17, 2017) Veterans4Quality® received a $10,000 grant from The General Motors (GM) Foundation during their second annual Celebrity Charity Jeopardy event on April 28, 2017 in Austin, TX. Veterans4Quality leaders joined three other area nonprofits in a lively game of Jeopardy that challenged GM division leaders and the nonprofit directors to answer questions about GM and each participating organization. In the end, each nonprofit received a $10,000 grant made possible by The GM Foundation. Veterans4Quality trains military Veterans in the skills of software quality assurance engineering through fast-track classroom training and hands-on paid internships. Ron MacKay, Executive Director for Veterans4Quality expressed his eagerness to see the power this grant will have for extending the program to more Veterans. “We want to continue to help and support our Veterans transitioning out of military life. This grant will do just that. It will allow us to pursue technology solutions to better the program, making it more accessible to Veterans and potentially to active military men and women through distance learning programs currently in development,” MacKay said. The IT vocational training program assists in the transition from military life and is offered free of charge. MacKay went on to say what this grant means to Veterans4Quality. “We are grateful to General Motors for this generous donation. Our work, and The GM Foundation’s support, will assist these warriors in overcoming what is a very difficult transition for some. By learning how to test software, they can bridge that transition gap and find their new place in the civilian world as productive members of society,” said MacKay. Bridge360 is included as one of Austin's top twenty-five software firms according to the Austin Business Journal's, The List. AUSTIN ― Bridge360, a custom software developer focused on solving complex application issues with superior quality assurance, is honored to break into the top twenty-five software firms on the Austin Business Journal’s, The List. The 2017 ABJ list of software firms includes those developing their own proprietary products and contracted custom developers. Beyond software development and customization, most of these firms offer continued services such as product updates and Software-as-a-Service. Bridge360’s commitment to excellence and ability to seamlessly blend into the client’s team are just a few deliverables contributing to their success and trajectory on The List. 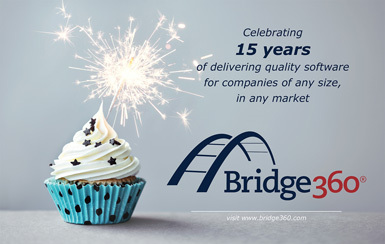 Celebrating 16 years, Bridge360 prides themselves on being client focused. Delivering the promise to protect their client's software releases, upgrade, conversions and creations by rigorously coding, testing and correcting defects before their customers find them. “We are honored to be in the Top 25 software companies in Austin and couldn’t be there without our clients and talented team of software specialists,” said Brenda Hall, CEO of Bridge360. Brenda Hall is the driving force behind its success and her “do whatever it takes for the customer” is what has them singing their praises. Under her leadership, Austin based Bridge360 has become known as the "go to" expert for companies who deploy their products around the across the globe and its technical team is second to none lending its talent to worldwide projects. Bridge360 improves client experience with a first focus on delivering quality software. Bridge360 engages and delivers across the entire software development life cycle with support and maintenance. This includes program management, architecture, design and development, and testing. By specializing in solving complex problems at every phase of the project, Bridge360 removes roadblocks to bring clients' software and applications to any market with the highest level of quality. The Bridge360 customer base includes world technology companies, leading system integrators, federal and state government agencies, and small to enterprise businesses across the globe. Bridge360's clients span industries from Supply Chain to legal to healthcare, automotive to energy, and high tech to high fashion; all counting upon Bridge360 to clear a path for their success. Bridge360 was founded in 2001 and is headquartered in Austin, Texas with an office in Beijing, China. Acclaim for the company has included 2013-2014 listings on Inc. 5000, Software 500 and Austin Business Journal Top Women-Owned Businesses. Bridge360 was also the 2013 recipient of the International Service Award presented by GlobalAustin and the Austin Chamber of Commerce. AUSTIN ― For the past 15 years, Bridge360 has been delivering the promise to protect their client's software releases, upgrade, conversions and creations by rigorously coding, testing and correcting defects before their customers find them. Veterans4Quality™ proof of concept sees enough success to stand alone, graduating 62 veterans through the curriculum and on-the-job training program. AUSTIN ― The software quality training program geared specifically for U.S. veterans, Veterans4Quality™, launched its fifth course with fall classes starting September 8th. In just one year, the program has provided instruction to 62 veterans; most of whom have already been placed into full-time jobs within the industry. Following a successful year of Veterans4Quality, a fast-track career-training program for returning veterans, Bridge360 is spinning off the program as a stand-alone 501c(3) non-profit organization. Ron MacKay will lead Veterans4Quality going forward as the organization’s first executive director. Since the inception of the program, 62 veterans have graduated through four completed sessions. All graduates either have entered the workforce in full-time or contractor positions or been called back to active National Guard duty. The fifth class, which kicked off in September, has 11 students enrolled. "Bridge360 started Veterans4Quality as a proof of concept that has found amazing success and made a significant impact in the lives of the veterans and their families who have participated in the program," said Brenda Hall, CEO of Bridge360. "It was always our goal to nurture the program through Bridge360 and community technology partners until it could stand alone. To see this come to fruition in such a short timeframe is a testament to the dedication of our team and corporate partners who have come forward in such a shining way to fill a need for those who have risked so much for our country." Ron MacKay, Bridge360’s inspiration for the program, took over leadership of Veterans4Quality in October. MacKay, a 20-year Army veteran, served in Korea, Kuwait and Iraq. Upon retirement from the Army in 2012, MacKay joined the Austin Police Department where he serves as the manager of the research and planning division. MacKay is assisted with the growth of Veterans4Quality by the founding board of directors which includes Brenda Hall, CEO of Bridge360; Susan Barbour, Chief Operating Officer of Bridge360; Brad Powers, Technology Director for Web and eCommerce at Whole Foods Market; and Carl Shaulis, Director of Quality Engineering for HomeAway. "I first met Ron in 2012 and he was instrumental in teaching me the challenges that veterans would be facing over the next few years as they attempted to match their military experience to the commercial workforce," said Hall. "Even though we are a small company, we felt like there was something we could do to make an impact plus address a challenge we had in finding top talent to do software quality assurance. Our dedicated team members created the curriculum and volunteered to teach. We recruited great community partners for on-the-job training and just through word of mouth we filled five classes." Bridge360 launched Veterans4Quality in May 2014 as a free curriculum and on-the-job training program for returning veterans looking for new careers after their military service. The curriculum, created by Bridge360 and dedicated volunteers within the company, provided students with classroom as well as paid on-the-job training programs through community corporate partners including Whole Foods Market, Dell, HomeAway, Alcatel, Alchemy Systems, Everi, the Federal Aviation Administration, Kendra Scott, NewComLink, Pace Americas, Personify, Somnio and Win Learning. "Our community partners are so much a part of the success story. The momentum we have today is thanks to the other companies that joined in our quest,” said Hall. “The program was immediately embraced and supported by Brad Powers and the Whole Foods Market team and Geoff Meyer and the Dell team. As the program progressed, every company we asked came to the table to support the program, providing an instructors network for the classes, paid on-the-job training for the students and then hiring the graduates as full-time employees." The curriculum and on-the-job training program accelerate the process for veterans to start careers as software quality assurance engineers. Through the program, students complete the 15-week classroom portion of the curriculum and continue learning through a 90-day paid on-the-job training period. Upon graduation, veterans earn a Software Quality Assurance Certificate. Whole Foods Market will host a celebration of the Veterans4Quality non-profit launch on November 9 from 9:00-10:30 a.m. at the Whole Foods Market building, plaza level, located at 550 Bowie Street in downtown Austin. Corporate partners and veteran graduates will be in attendance. Veterans4Quality was launched in May 2014 by Bridge360 as a free curriculum and paid on-the-job training program for returning veterans. The fast-track career-training program provides coursework and paid hands-on training for becoming a software quality assurance engineer. In October 2015, Bridge360 spun off Veterans4Quality as a stand-alone 501c(3) non-profit organization, appointing Ron MacKay as the first executive director.